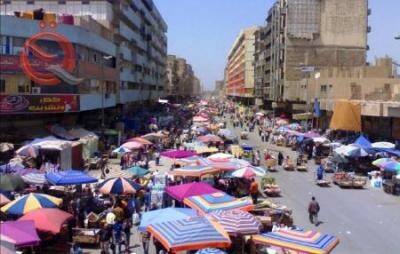 The Ministry of Planning announced on Sunday a slight rise in the monthly and annual inflation rate during the month of September. The official spokesman of the Ministry of Planning Abdul-Zahra al-Hindawi said in a statement received by "Economy News" a copy, "The rate of inflation for the month of September rose by a slight 0.3% compared to the month of August before," noting that "the rise was the result of the Department of Food and Beverages Alcohol by 1%, and housing and health by 0.2%, and the Department of Communication and Education by 0.1%. Hindawi added that "the annual inflation rate also witnessed a slight increase of 0.1% compared to September of 2017," noting that "the increase was due to the rise of food and non-alcoholic beverages rose by 1% and the housing section rose by 0.2%." The Center for Statistics and Information Technology announced in January 2012 that it has started to use mechanization to collect different prices and at specific times in place of the paper form in the past, stressing that this will contribute to the speed of collection and accuracy of prices and correct their calculation in case of errors.